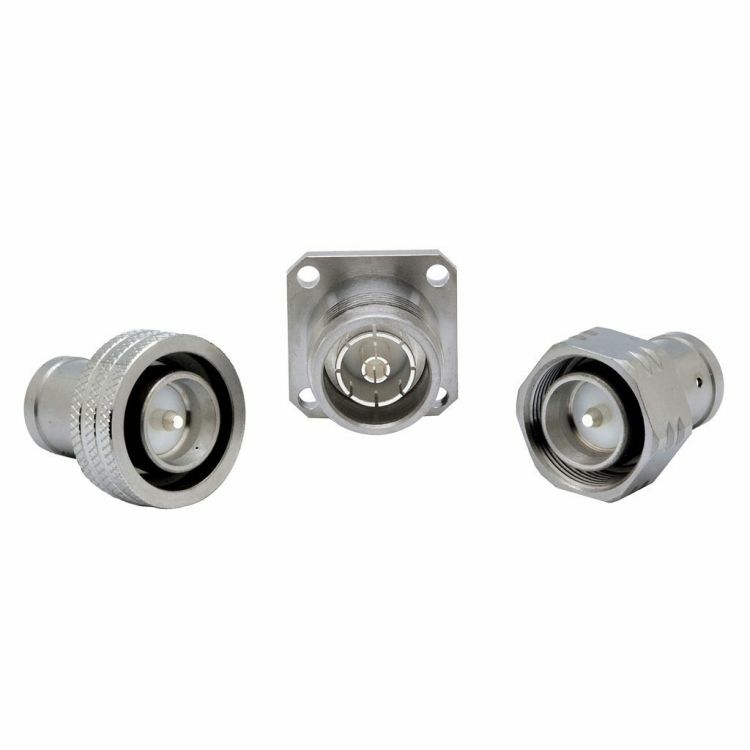 High power connector, Quick Lock and screw-on type, operating in the range DC-6 GHz. 4.3-10 interface was proposed in 2012 to replace 7-16 connectors in wireless radio equipment and antennas. The need for a smaller, lighter, easier to install and more reliable connector was driven by the miniaturization trend in telecom equipment and the need for higher passive intermodulation (PIM) performance. This product is under IEC standardization (draft IEC 60169-54) and Radiall is an active member of the standardization committee. 4.3-10 is available with two coupling options: screw-on 4.3-10 plugs with Hex nut requiring a torque wrench tool for installation, and Quick Lock 4.3-10 plugs (also called push-pull) with a knurled nut and tool less. 4.3-10 is designed for outdoor use. Radiall proposes an optional high resistance anti-corrocion plating which successfully pass ISO 21207 and NSS 720 hours.